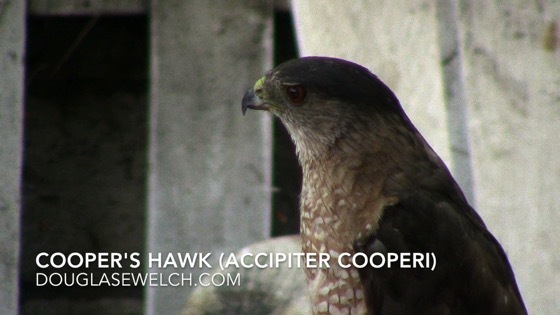 A Cooper’s Hawk (Accipiter cooperii) in the garden. A closer, head and shoulders shot. 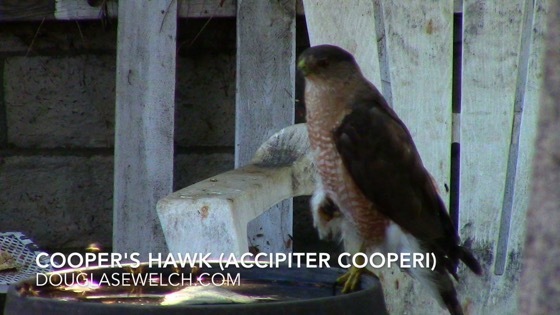 This series of videos were taken on a particularly hot day hence the bees and hawk were both making great use of the birdbath. 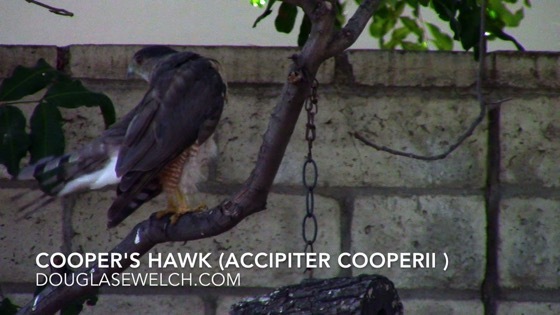 The hawk appears a bit annoyed when bees buzz by or try to land on them, but otherwise unperturbed by sharing the space. 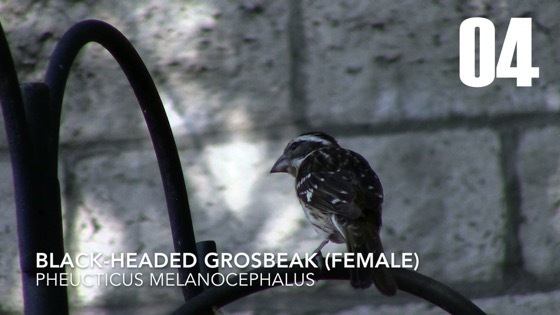 A female Black-headed Grosbeak (Pheucticus melanocephalus) made an appearance over a few days here in the garden. I am guessing she was migrating north for the summer as grosbeaks are not a regular visitor.